Cats - we love them, however we aren't so keen on the mess they sometimes leave for us to clean up. Cat Urine Stains in our homes are a big problem. The stain is incredibly hard to remove and the smell - disgusting is a word that comes to mind, but still doesn't quite describe cat urine odor effectively. This is where toilet training a cat comes in. But first, when your cat is urinating in your home there are 3 things we need to look at. 1. Why - what is causing your cat to pee inside on the carpet and furniture, rather than where it should be peeing. We need to address this as part of toilet training a cat. 2. How - we need to clean cat urine out of our carpet and furniture, clothes and any other item we own that our cat has taken a liking to. There is little point toilet training a cat if your home still stinks of cat pee from it's previous mis-adventures. 3. When - NOW! This is when we say "enough is enough!" This is when we start to toilet train a cat. Lets look at WHY. There are many reasons why your cat is peeing in all the wrong places. The first place to start is with a visit to your vet. You must make sure there is no medical reason first. Then we go on to look at our cats home life - are there other pets, new cats to the home, have you moved, has someone new come to live with you, or someone left. Any of these changes can be traumatic to a cat. Although none of these issues should affect us in toilet training a cat, but they should be addressed just the same. We don't want a sad cat. Now on to the HOW. There are soooo many different methods available to clean cat urine, some of them work, but unfortunately most don't. Cat urine is one of the hardest stains to remove, I wont go into too much detail as I could fill 10 pages on the subject and this topic is about toilet training a cat, not how to get rid of cat urine. But I will say you need an effective cleaner that will penetrate deep into the fibers of your carpet, or furniture, or clothes or whatever else your cat is urinating on. You need a Natural Cat Urine Cleaner, one that will remove the stain, the smell and above all else, make sure the stain NEVER comes back. I use a recipe that I mix myself when I need it. This recipe uses everyday products that are readily available from your local store, it's easy to make and even easier to use and the best part is the smell never returns. This is the important one - NOW. 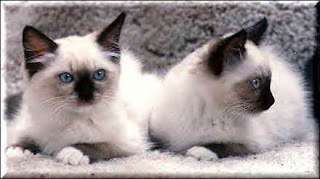 Successfully toilet training a cat can be done with cats and kittens, your kitten needs to be more than 8 weeks old. You can't properly toilet train a cat that is less than 8 weeks old. If you haven't already, name your cat. Your cat needs to know its name, this is an essential part of toilet training a cat. You'll get much better results if your cat knows its name. Cats are very private animals when it comes to them peeing and pooing, they tend to hide their "business". Before starting toilet training a cat, buy a litter tray so that the cat knows where it has to go. Make sure the litter tray you buy is enamel or plastic. Fill the litter with some soil, sawdust, sand and cat litters (commercial). These materials are essential for toilet training a cat. If a kitten is raised with a mother who uses a litter tray for her business, the kitten automatically learns to use litter tray too. Try to familiarize your cat with the litter tray. Put your cat inside the litter tray after she's finished eating or after she's finished playing or even after she wakes up. This will help her to become familiar with the litter tray. Make sure that you put the litter tray in a hidden and quite place while toilet training a cat as like us, cats don't like to be watched. Praise the cat or acknowledge her after she uses the litter box. Make sure she knows you're happy with her behaviour by patting on her head or some food rewards can also be used. If your cat isn't using the litter tray, then try to teach her by correcting her immediately after she has finished her business. This can be done by shouting loudly "NO" or more effectively with a squirt bottle full of water, give the cat a light spray at the time she pees or poos in the wrong place. This will help her in learning what is right and what's wrong. Make sure you don't use physical punishment as this is unnecessary and can ruin your relationship with the cat, it's quite ineffective in toilet training your cat, she'll look at you with complete contempt - not respect, and you'll be back to square one. The last stage of toilet training a cat is to get puss to actually use the toilet. To do this, move the litter tray towards the toilet slowly and steadily. Make sure that you make only slight changes as a big change to the place of litter tray can make your cat suspicious or can even confuse her. You eventually want the litter box sitting on the toilet, once your cat is used to this place you can remove the litter tray and your cat will keep coming to the toilet bowl. Your mission of toilet training a cat is accomplished. You need to immediately clean up any accidents along the way, if you don't get to it straight away your cat will be drawn back to the site of her accident, rather than the litter box and toilet training you cat will take longer.